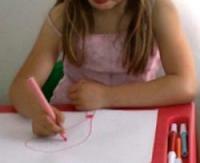 Children with posture and movement difficulties, including those with joint hypermobility (low muscle tone), developmental coordination disorder (DCD) / dyspraxia, autism, ADD/HD and Down syndrome often have difficulties with several aspects of posture and movement control needed for drawing and handwriting. 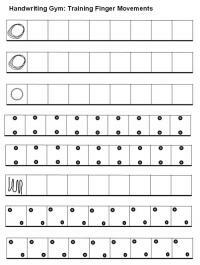 An effective pencil grip allows the child to hold the pencil in such a way that small movements of the fingers and wrist can be used to move the pencil point in all directions on the paper. 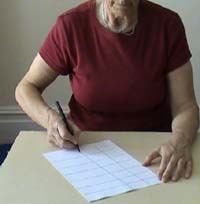 A combination of shoulder and elbow movements are used to position and move the hand on the paper for writing, as well as for drawing medium and long lines and curves. An overview of the of the common problems with drawing and handwriting experienced by children with joint hypermobility (low muscle tone) and developmental coordination disorder (DCD and dyspraxia). 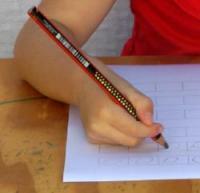 Drawing and handwriting involves coordination of shoulder and elbow movements to move the hands across the page. Children with movement difficulties (low muscle tone, joint hypermobility, DCD, autism) often lack shoulder strength, flexibility and coordination needed for effective control of shoulder movements needed for drawing and handwriting. A good pencil allows the child to hold the pencil in the hand in such a way that small movements of the fingers and wrist can be used to move the pencil point in all directions on the paper. 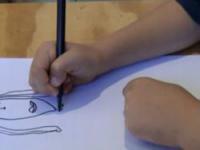 Pencil grip and finger movements: what is really important? A good pencil grip allows the child to keep the wrist steady and make small movements of the fingers to move the pen tip in different direction to create short straight and curved lines. Although many children will spontaneously adopt a dynamic tripod grip, it does not work for every child, and especially not for a child with hypermobile finger joints. 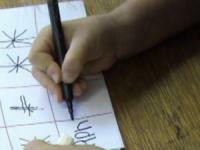 Holding the thumb close to the shaft of the pencil seems to work best for these children.